Chloe Grace Moretz’s long hair and youthful whimsical style appeared to be long gone as the actress hit the red carpet of the 2016 TrevorLive fundraiser looking like she stepped out of a Rolling Stones magazine cover. The 19-year-old stylishly returned from her short hiatus clad in a head-to-toe Roberto Cavalli pantsuit and a pair of metallic Casadei sandals. The actress pulled off the ‘70s retro ensemble to perfection, making a huge statement in her floral velvet blazer and matching flared pants. Her new cropped hairstyle punctuated the period look. 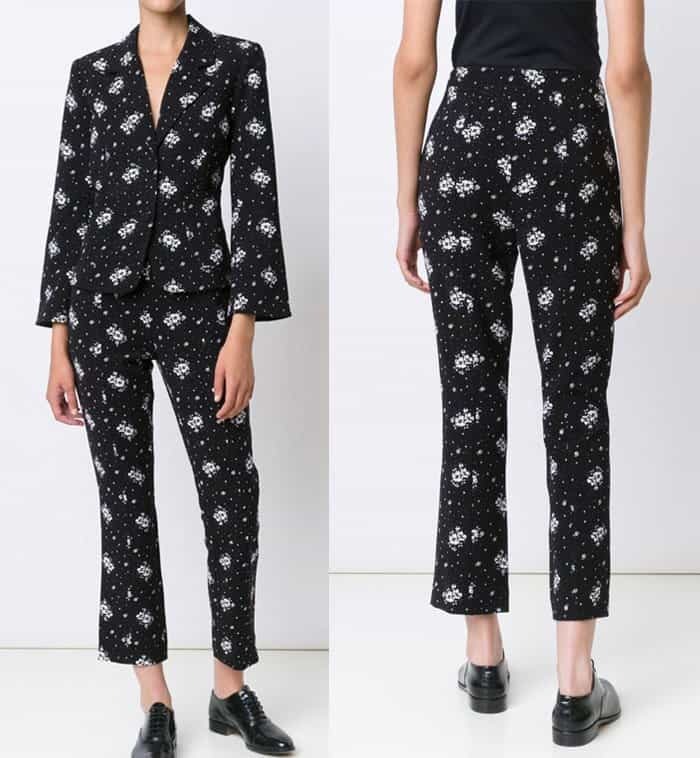 This is a pantsuit look done right. You can try copying Chloe’s style with the following coordinates.